Washington, DC -- Smithsonian Folkways will be releasing a collection by bluegrass music favorites, the Seldom Scene this April. The album, Long Time...Seldom Scene contains some of the band's most popular arrangements. For more than four decades, profoundly influential bluegrass band The Seldom Scene has shared its undeniable talent, progressive repertoire, and creative spirit both in the studio and on stage. The Seldom Scene dedicates this album to the memory of founding members John Duffey (1934-1996) and Mike Auldridge (1938-2012). 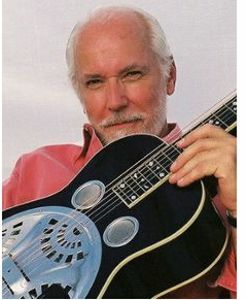 Rob Ickes, Dobro player for the bluegrass music group Blue Highway, wrote to express his appreciation for Mike Auldridge's Fellowship award from the National Endowment of the Arts. Rob says, "This is a special week for someone who is my mentor, and an icon not only in the dobro community, but in the world of music."